With a civil engineer for a father and an engineering major for a brother, Steve Macadam didn’t need much persuasion that engineering offered a promising future. What he did not know at the time he enrolled at the University of Kentucky was that he would parlay his engineering degree into a successful business career. Mr. Macadam graduated with distinction from UK in 1982, earning a bachelor’s degree in mechanical engineering. He began his professional career as an engineering manager for E.I. DuPont de Nemours, where he was placed in a fast-track development program consisting of two-year rotating assignments. During his employment, Mr. Macadam completed a master’s degree in finance at Boston College, finishing first in his class. Upon completing his rotation at DuPont, Mr. Macadam applied to Harvard Business School, largely out of curiosity as to whether he would be accepted. He was, and received an MBA in 1988 as a Baker Scholar—a distinction awarded to the top five percent in a graduating class. Later that year, Mr. Macadam took a position with McKinsey & Company, where he would spend the next 10 years. He was elected partner after five and a half years. Mr. Macadam served clients in the pulp and paper, automotive, textile, chemical, banking and electric utilities industries and also led the successful opening of a new office in Charlotte, N.C. In 1998, Mr. Macadam joined Georgia-Pacific Corporation as senior vice president of containerboard and packaging. Through his leadership, operating profit improved from $8 million in 1997 to a staggering $512 million in 2000. Not surprisingly, his division was awarded “Business of the Year” within Georgia-Pacific in 1999 and 2000. In 2000, Mr. Macadam was promoted to executive vice president of pulp and paperboard, where he launched an intensive $100 million supplier cost reduction initiative across all operating divisions. 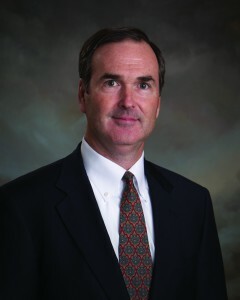 Mr. Macadam left Georgia-Pacific in 2001 to become president and CEO of Consolidated Container Company, the second largest blow molder of rigid plastic containers in North America. Over the next four years, Mr. Macadam led the company from a leveraged buyout to a significant turnaround, with $800 million in annual revenue. In 2005, he became CEO of BlueLinx Corporation, where he would implement a comprehensive strategy shift from commodity to specialty products. The scope of responsibility was Mr. Macadam’s largest yet, as BlueLinx produced $5.5 billion in revenue annually and operated over 70 distribution centers with 3,500 employees. Three years later, an opportunity arose for Mr. Macadam to become president and CEO of EnPro Industries, a diversified manufacturer of a wide range of industrial products. Having been with EnPro for five years, Mr. Macadam considers it the “perfect fit,” as he oversees over 50 worldwide manufacturing facilities and 5,500 workers producing $1.5 billion in annual revenue. By his count, Mr. Macadam has worked in or visited 255 manufacturing facilities in 14 countries. His intuition for strategy and passion for execution have made him a proven leader in the industrial products industry, and he credits his personal love for learning—sparked by his engineering education at UK—as a critical component of his success. Mr. Macadam lives in Atlanta, Ga., with his wife, Marie, also a UK graduate. They have four children, Ellen, Milly, Emma and Luke.